The PowerTac E3 is the ultimate everyday carrying key chain light. 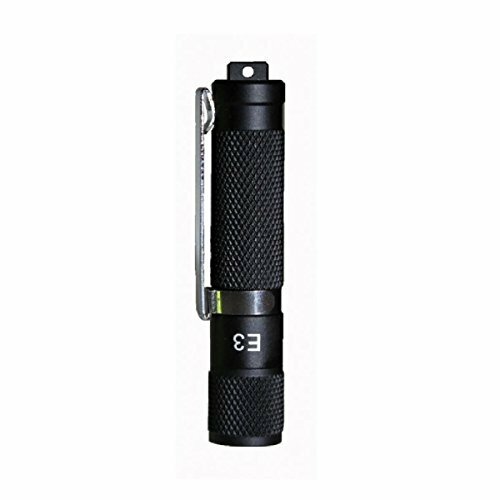 It combines a compact size and amazing 90 lumen maximum light output with only one AAA battery. The E3 also comes with an easy to use interface and two different brightness levels. The E3 outputs an amazing 90 lumens on high and 3 lumens on low, which is good for low light situations with super long run time. It’s durability, shock resistance and rugged build quality make it the key chain light to go everywhere your adventures take you. Operation: Slightly twist the head tighten to firefly(3 Lumens), tighten further for max output (90Lumens). I’M GIVING AWAY AN FN509 TACTICAL PACKAGE!